The St Benedict's Model United Nations Society attended a conference at Croydon High School on Saturday 17th November. Congratulations to "Highly Commended Delegate", Audrey Reber. Model United Nations is a society for those who are interested in politics and current affairs and want to develop their debating and research skills. 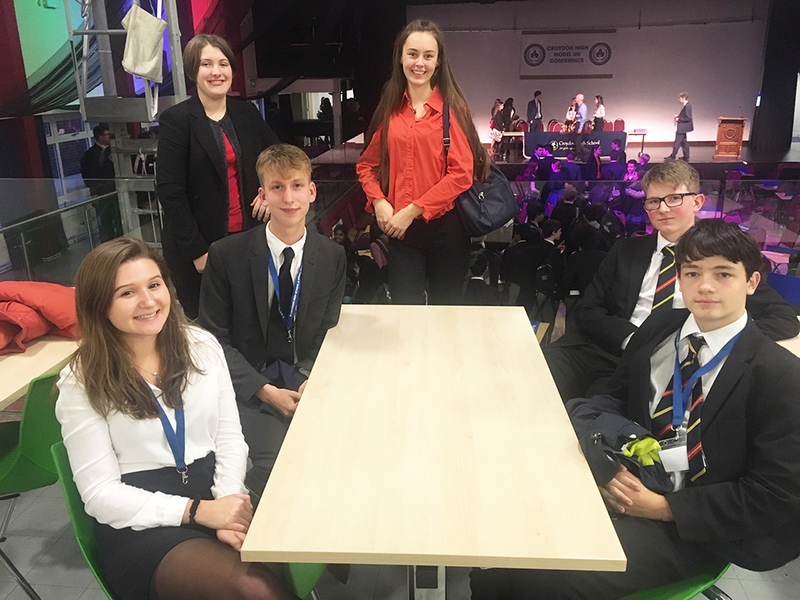 The St Benedict’s MUN group attends conferences where they are allocated a nation, then discuss and debate various issues from the point of view of that country and attempt to reach agreements to solve world problems. On this occasion, St Benedict’s pupils were representing Saudi Arabia, Republic of Korea and Equatorial Guinea. They debated a wide range of issues including Child Marriage, Modern Slavery and the Militarisation of Space. They also had to come up with a solution to an "Emergency" - a riot on the border between Mexico and the USA. All of those who attended are to be congratulated on the excellent standard of debate. 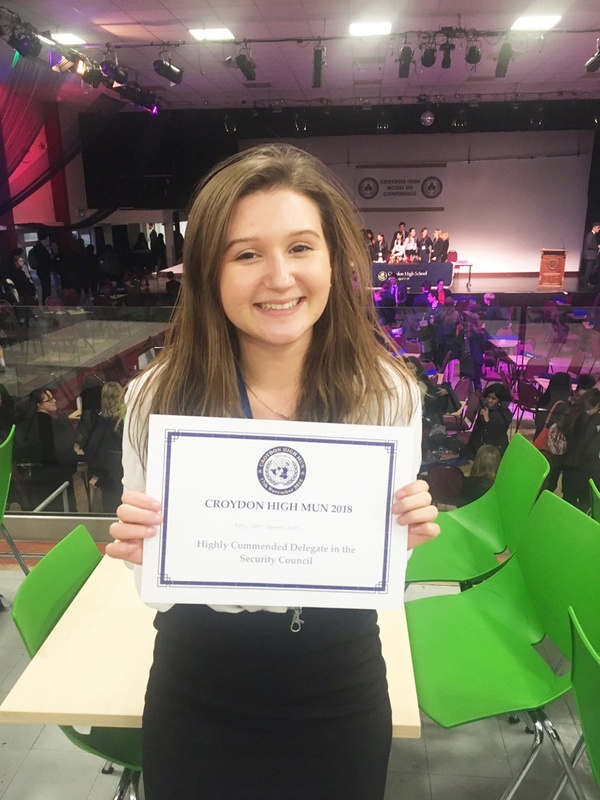 Particular congratulations go to Audrey Reber, who received a certificate for "Highly Commended Delegate". This is especially impressive as she was in the Security Council committee, competing at the highest level. It was, as always, an extremely interesting day, and a really good opportunity to mix with students from a total of 24 schools across the country. Emily Rawlings and Amy Vaughan (Year 11); Valentina Elner-Kupcha, Matthew Rock, and Marcus Flanagan (Year 12); Sam Symes and Audrey Reber (Year 13).